We are offering FRP Cable Trays to our clients. We are a well-known manufacturer, supplier, importer and exporter of optimum-grade Cable Tray. The range made available by us is manufactured keeping in mid the requirements of our esteemed patrons. Furthermore, we offer these products to esteemed patrons in various specifications at industry leading rates. 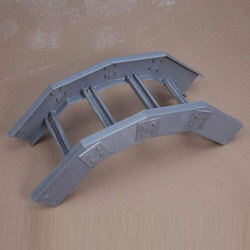 We are noted manufacturer of optimum grade FRP Cable Tray. 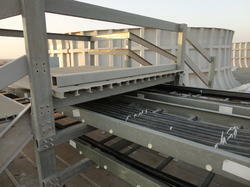 FRP Cable trays are available with all its accessories in Ladder Type and Pultruted. Easy to Install & replace. Fire Retardant & Ultra Violet (UV) Stabilized. We specialize in offering a preeminent range of FRP Cable Trays, which is used to support power cables and control cables for various indoor as well as outdoor applications.